Since 1986, Contemporary Craft has called the produce terminal in the Strip District home. That changed recently when a number of factors — including the redevelopment of the terminal into a new stretch of office, retail, and restaurant space — led the arts organization to make a difficult decision. But what seemed like bad news turned into a blessing last February when Contemporary Craft purchased a permanent home at 5637 Butler Street in Lawrenceville. After 48 years of leasing, McCall believes finally owning a space will better secure the organization’s future and enable them to control building costs. On March 30, Contemporary Craft bids adieu to their current home with Out of Hand, a 1986-themed gala in honor of the year they moved in. The event takes place well before the big move, as Contemporary Craft plans to stay at the terminal through the end of 2019. 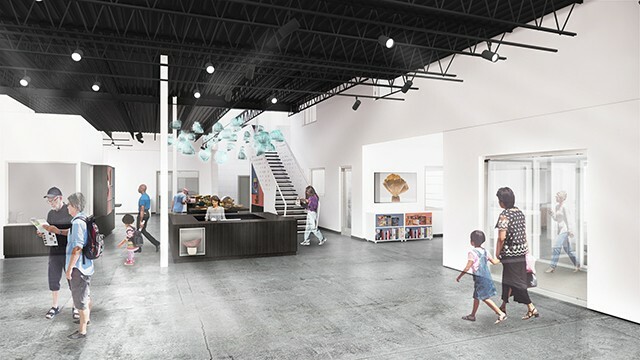 Currently, renovations are underway at the Butler Street location to transform it from a former manufacturing facility into an arts and cultural institution. Once finished, it should include extensive space for exhibitions, workshops and lectures, and retail, as well as a visitor’s lounge. McCall says a grand opening is slated for March 2020. “It’s inevitable that when you move a location, into a new building as well as a new neighborhood, things will change, and that’s one of the things that we’re most excited about,” says McCall, adding that they plan on working with surrounding makers, small businesses, schools, and community organizations like the Lawrenceville Corporation and Lawrenceville United to determine what Contemporary Craft should offer. 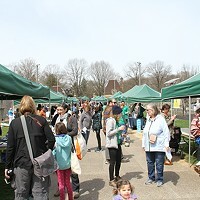 “What we’re going to do is find out what the goals of the community are and find out what their priorities are, and then begin to work with them to shape and develop our programming in response to their needs,” says McCall, adding that those discussions have already started taking place. The final terminal gala, however, promises to be a fitting farewell to the space where Contemporary Craft worked to provide access, support, and resources to the Pittsburgh arts community. The evening includes artist demos, '80s-themed crafts and music, a throwback arcade, and food and beverages. To top it all off, there’s also a silent auction offering the chance to bid on over 150 original artworks by national and local talent. “We’re hoping that everyone will go home with an original piece of art,” says McCall.